This is a the second part of an article on cholesterol. The first part talks about what is cholesterol, what is LDL, HDL abd triglycerides and the differences between them. 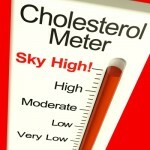 It also talks about what is normal cholesterol levels and what do the numbers means. It also talks about drugs many people take for this condition. If you have not read it, we suggest you do now. So how to reduce cholesterol naturally? The most effective way is one that addresses all the risk factors of cholesterol. 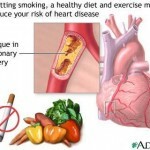 In other words, you have to pay attention to your diet and you have to stop smoking and start exercising. That by itself may not be enough for most people, simply because the problem may be greater or most of us do not want to restrict our diets in a way that will decrease our quality of life. So we need to address other areas like reduce the amount of cholesterol we produce in the first place AND reduce the amount of cholesterol that our body absorbs. There are ways that we can also get rid of some of the existing cholesterol in our bodies. The point is that we have to attach the issue from all the different risk areas! So lets look at these areas in detail! Ways to Reduce Cholesterol#1: When you want a snack, the snack of choice for you should be nuts. Nuts like walnuts, almonds, hazelnuts, peanuts, pecans, pistachios are rich in polyunsaturated fatty acids which help keep blood vessels healthy. Make sure that they are not salted or have sugar on them! Ways to Reduce Cholesterol #2:Oatmeal, oat bran, brown rice, whole-wheat cereals, buckwheat and whole-grain foods such as pasta, cornmeal and tortillas are foods high in fiber and very beneficial in lowering cholesterol! Ways to Reduce Cholesterol#3: When you use oil, make sure it is olive oil. Olive oil can lower your “bad” (LDL) cholesterol but leave your “good” (HDL) cholesterol at the same level. Ways to Reduce Cholesterol#7: Regular exercise is also an important natural home remedy for lowering the bad cholesterol and raising the good cholesterol levels. 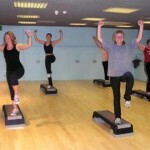 Exercise is one of the best natural remedies for cholesterol reduction. Ways to Reduce Cholesterol #9: Check your hormones to see if they are balanced. Many believe that some times our cholesterol levels increase as we get older is due to our hormones being out of balance! Ways to Reduce Cholesterol#10: Garlic is a great way to reduce the amount of cholesterol your body produces. There have been studies that show that taking garlic reduces cholesterol. Take 1,500 – 3,000 mg per day! Ways to Reduce Cholesterol#11: Soluble fiber binds to cholesterol (sticks to it, if you will) and gets rid of it. So eat soluble fiber foods like fruits and vegetables. Additionally you need to consume plant sterols so your body actually absorbs less cholesterol. Take 2 capsules of Omega Cardio Performance, 2 times a day. Ways to Reduce Cholesterol#12: Eat artichoke and take artichoke leaf extract supplements. Artichoke aids the body in the disposal of excess cholesterol. Take 1 tablet with each one of your 2 heaviest meals of the day! Ways to Reduce Cholesterol #13: You have heard quite few doctors talk about pomegranate and its benefits. Many refer to it as a superfruit with many health benefits, and rightfully so. Pomegranate juice or pomegranate supplements works wonders in cleaning your arteries among many other health benefits. Remember that the reason everybody talks about how bad cholesterol is, it is because when we have too much cholesterol, lipids transport cholesterol among other substances thru the bloodstream. 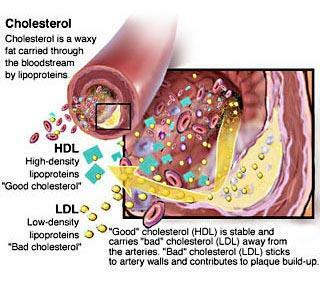 Too much cholesterol create plaques in our arteries which blog our arteries and make it difficult for blood to go thru. Pomegranate has been proven to aid in “cleaning” and “removing” plaque in our arteries. Additionally you need to take CoQ10 supplements. CoQ10 is found naturally in the body and it helps convert food into energy. It is a very powerful antioxidant and it is found in every cell in the body. People with high cholesterol tend to have lower levels of CoQ10 in their bodies. Other areas that CoQ10 is found to be helpful in, are: After heart attack, to treat heart failure, may lower high blood pressure, diabetes, gum disease, and heart damage caused by chemotherapy. By taking 2 capsules of Omega Cardio Performance, 2 times a day, you get the proper amount of CoQ10! Ways to Reduce Cholesterol#14: Eat at least 3 servings per week of any of the following fish rich in omega-3 fatty acids: Mackerel, Lake trout, Herring, Sardines, Albacore tuna, Salmon, Halibut. Realistically though, you need a lot more fish oil than what you will get from eating foods rich in omega-3. The same supplement we suggested earlier, Omega Cardio Performance, will also provide you with the essential Omega 3 you need. Additionally, you should take 1 tablet of Niacin, 3 times a day. The following supplements are know to aid in the fight against Cholesterol. Keep in mind that not every nutrient or supplement you swallow is absorbed by your body! Please read carefully the tab on the top of this page called HEALTH RESOURCES! It will explain to you why it is important to take the right supplements and nutrients. Our recommendations below we feel will give you the best possible nutrients and supplements on the market! Click below to buy all 4 essential supplements! Omega Cardio Performance Take 2 capsules, 2 times a day with your largest 2 meals of the day!